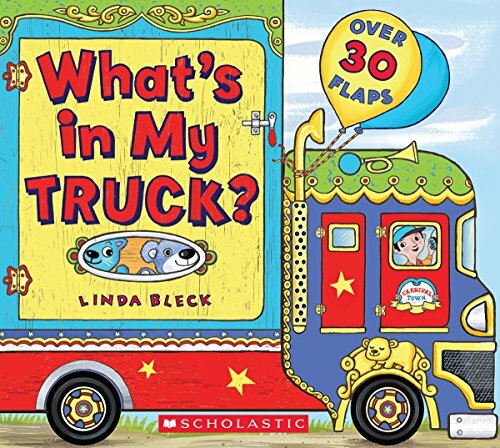 Linda Bleck What's in My Truck? Discover all the things these trucks can carry in this board book with tons of lift-the-flaps! This board book not only features different trucks making deliveries to different places, it's also chock-full of flaps! Toddlers and preschoolers love playing with cars and trucks, but now they can actually peek inside these fun trucks and see what's inside, from food and livestock to where the driver sleeps on overnight drives! The engaging text is informative, interactive, and fun! Linda Bleck is an award-winning author and illustrator with over 20 years of experience in illustration. Linda lives with her husband and two children in southern Wisconsin.